Just flew back home to the San Francisco Bay Area for a holiday with my dad. 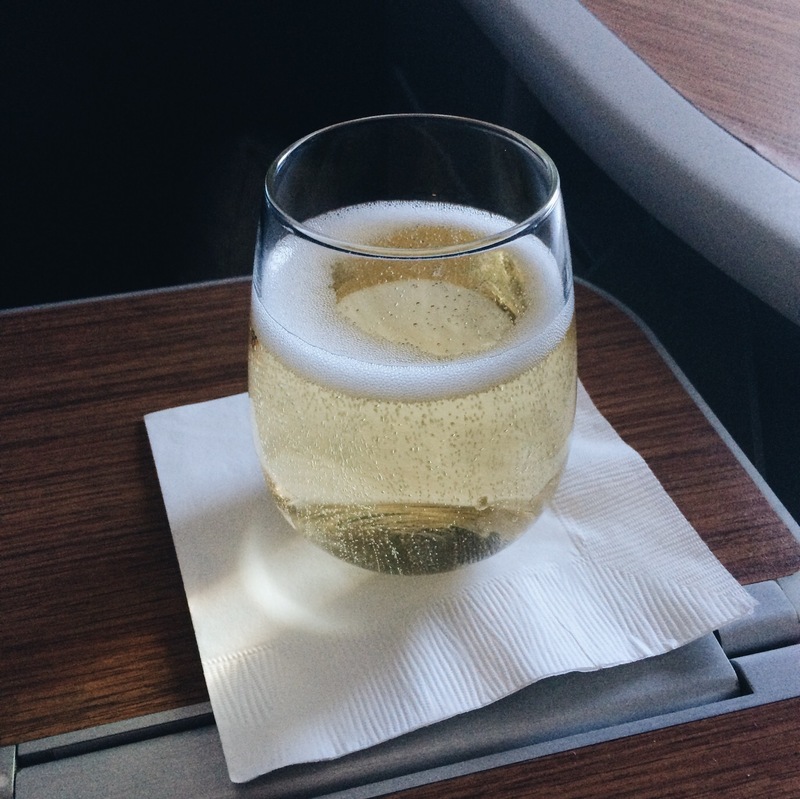 I had the immense pleasure of riding First Class and after getting up at 4:15am, was so glad to be able to sleep on the plane. I was also treated to a couple of tasty drinks. A really big glass of Dry Champgane. Yesssss. A Gin & Tonic with Bombay Sapphire and a lil lime wedge. 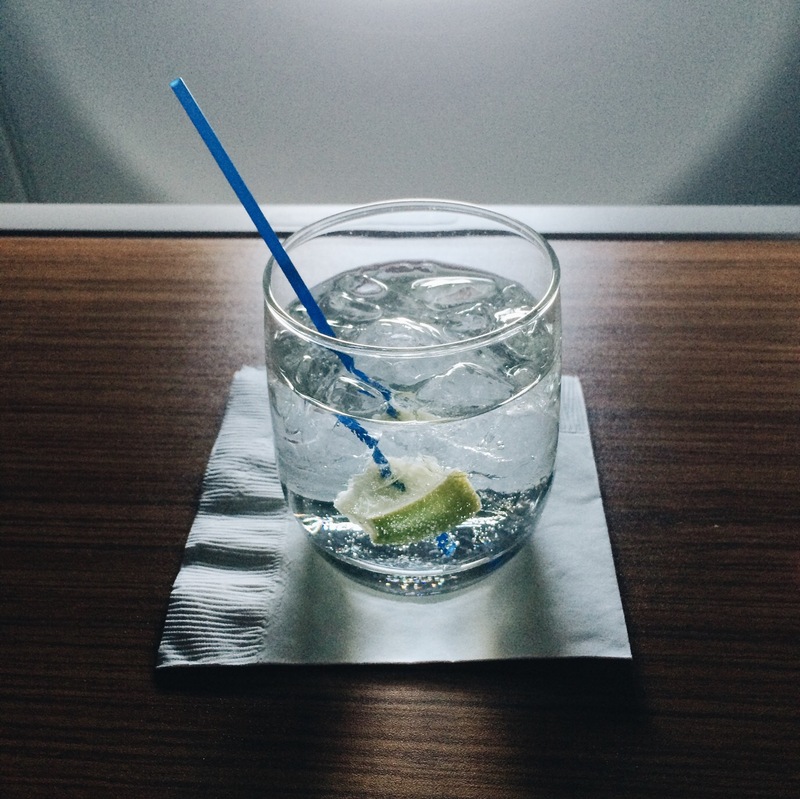 This is perhaps the perfect drink for flying. It is cool, refreshing, sophisticated, and well, GIN!! 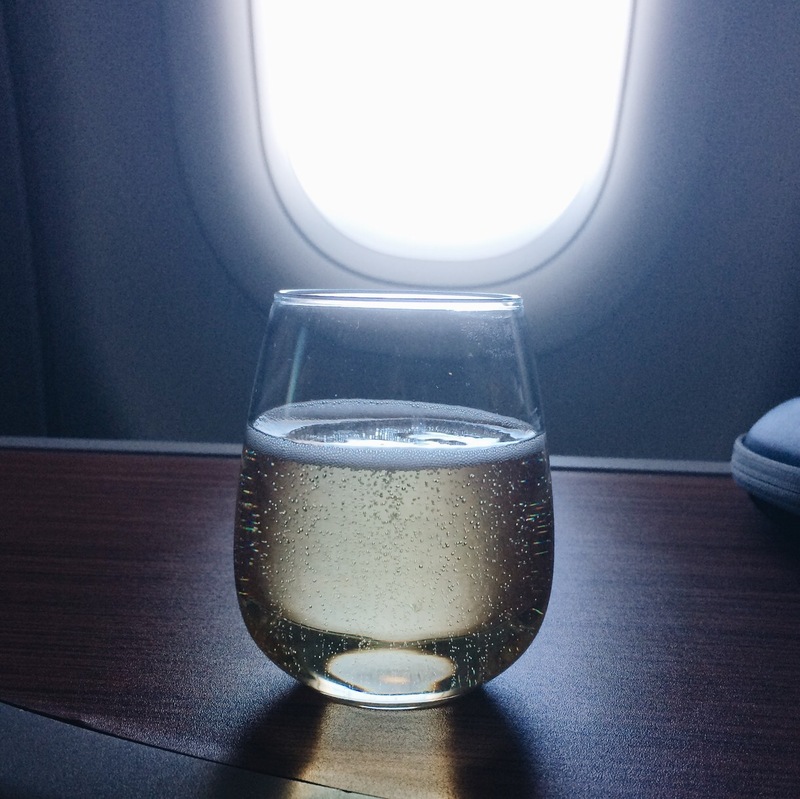 Cheers to all and may your end of summer travels be delicious!